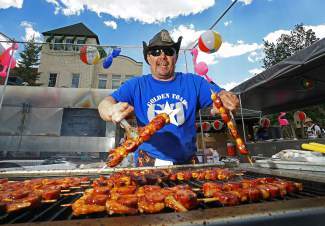 Mike Stall of Highlands Ranch mans the grill at Golden Toad during the Colorado BBQ Challenge in Frisco Friday, June 17, 2016. 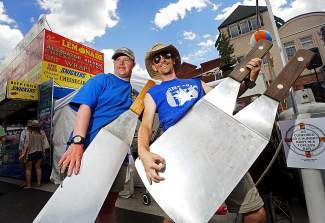 Rat Jr., left, seasons ribs while RJ Johnson slices them for hungry customers at Rat's Woodshack BBQ during the Colorado BBQ Challenge in Frisco Friday, June 17, 2016. Vidal, left, and Chris Johnson rock out at the Golden Toad booth during the Colorado BBQ Challenge in Frisco Friday, June 17, 2016. 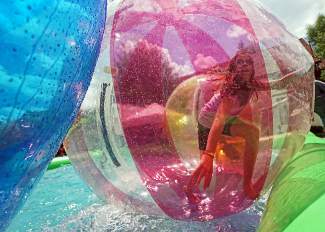 Brianna Keese, 10, of Silverthorne runs inside an inflatable water ball during the Colorado BBQ Challenge in Frisco Friday, June 17, 2016. 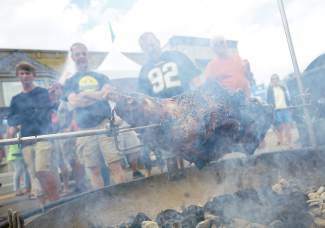 People stop for the sights and smells of a lamb leg being slow-cooked at the Colorado BBQ Challenge in Frisco Friday, June 17, 2016. 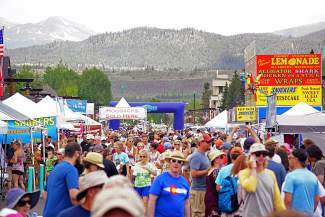 Crowds fill Main Street in Frisco to enjoy the food offered by 70 teams from across the country competing in the Colorado BBQ Challenge June 17, 2016. 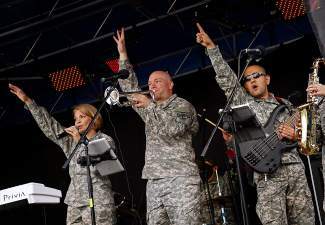 The 101st Army Rock Band performs on stage at the corner of Madison Avenue & Main Street in Frisco during the Colorado BBQ Challenge Friday, June 17. 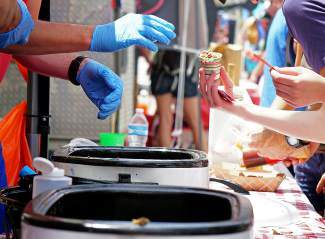 Hungry customers trade "hogbacks," or tickets that are purchased with cash, for food at the 70 vendors competing in the Colorado BBQ Challenge in Frisco Friday, June 17, 2016. 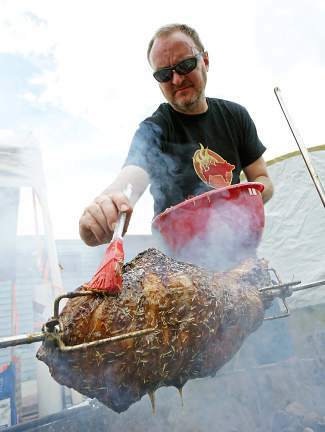 Matt Thomas of Boulder marinates a slow-cooked leg of lamb at BBQ Mama during the Colorado BBQ Challenge in Frisco Friday, June 17, 2016. 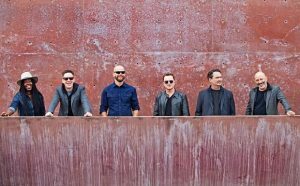 The 23rd annual Colorado BBQ Challenge began Thursday, June 16 with a Fela Kuti tribute by The Motet and Euforquestra. 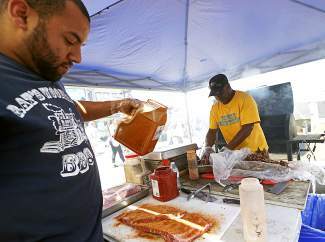 On Friday, vendors opened their booths for a full day of barbecue goodness. 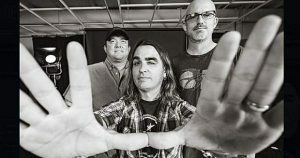 This Kansas City Barbecue Society sanctioned event attracts more than 70 teams from across the country to compete for top honors as the best barbecuers in the Rocky Mountains. The Challenge includes pig races, a 6K Bacon Burner run, live music and a whole lot of barbecue. 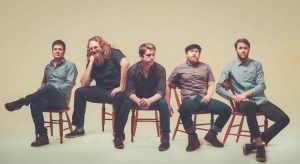 The event continues today with live music all day, and the BBQ Awards Ceremony at 4 p.m. at the BlueStar Kitchen Stage on 2nd Avenue and Main Street.